In March, 2017, Yancheng Intermediate People’s Court of Jiangsu Province rejected the claims of a professional consumer in a case involving on-line sale of food products. The case was started by Mr. CHEN Zhixin, who had purchased on a website platform two different kinds of tea leaves, which were advertised as “having more than 10 health beneficial effects for stomach, intestines, liver, blood lipid lowering, etc.”. Mr. CHEN had then sued the operator of e-shopping platform (the “Platform”) – to Yandu People’s Court of Yancheng City, Jiangsu Province on the grounds of violation of art. 55 of the Consumer Protection Law, pursuant to which business operators which fraudulently provide commodities or services shall pay to the consumer punitive damages amounting to 300% of the product price. In particular, Mr. CHEN claimed that the advertising of those tea products had to be considered as misleading and fraudulent – based on the fact that ordinary food cannot be advertised under PRC relevant regulations as having therapeutic effects. While the Platform defended itself mainly claiming that Mr. CHEN had acted in bad faith, intentionally purchasing the products with the only intent to obtain a profit from those, the first instance decision granted consumer status to Mr. Chen deeming that the motivation and the purpose that lead to the purchase of certain products shall not be relevant for the definition of “consumer”. Based on this, the first instance court upheld Mr. CHEN’s requests and decided that the Platform shall refund the price paid, and pay the three-fold compensation on top of it. The Platform appealed to the Yancheng Intermediate People’s Court of Jiangsu Province, which reversed the first instance decision and eventually rejected Mr. CHEN’s claims, on the grounds that (i) the Platform had proven that Mr. CHEN had filed several other similar litigations against other food companies, and therefore (ii) it was clear that Mr. CHEN had not been lured into the purchase by the advertising content, but rather by the aim to gain a profit (punitive damages according to the Consumer Protection Law). First of all, it shall be noticed that the professional consumer based his claim on the Consumer Protection Law rather than the Food Safety Law. This was forced choice due to the fact that the invoked misconduct (advertising with health claims) did not constitute a threat to the safety of the food product – i.e. the tea leaves were compliant with the law in terms of hygiene, ingredient/additives, mandatory labeling. Under the 2015 revision of the Food Safety Law, operators selling food products not compliant with food safety standards shall pay to consumers punitive damages amounting to 1000% of the price; however this does not apply when there is no breach of food safety standards, such as non-compliances in the labels/instructions of food products which do not impair food safety nor mislead consumers in believing that a food is safe while it is not. Before the 2015 revision, the Food Safety Law did not clearly exclude non-food-safety related non compliances from the grounds for 10-fold punitive damages. For instance, typos or other minor mistakes in the labels were often used by professional consumers to claim 10-fold compensations. Now, this appears to have changed. Issues such as non-correct rounding on nutritional labels, incorrect translations of food ingredients (unless it involves food safety consequences, for example it the mistake hides the presence of an allergenic substance), non-allowed claims or advertising content appear to be within the scope of article 55 of Consumer Protection Law rather than article 148 of Food Safety Law. Secondly, we see that the debate around professional consumers becomes more intense. 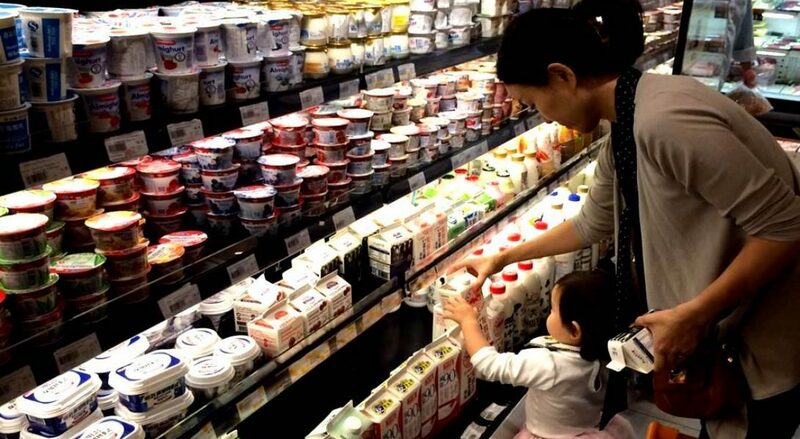 In 2014 the People’s Supreme Court of China issued an official interpretation clearly stating that – in litigation filed by consumers based on food products quality issues – the defendants (food producer or trader) arguments whereby consumer was aware of the quality problem shall not be considered by the Court. However, despite such clear provision, we already saw that in 2016 the Chongqing High Court issued an interpretation going in opposite direction. This path has been followed also by the High Court of Jiangsu, which on December 12, 2016 issued a “Summary of Meeting of Judicial Committee”. Litigation filed by consumer for quality problems not involving food safety non-compliance. In this case, the Jiangsu High Court considers that even if the consumer was aware of the food quality problems before buying it, the Court shall support it claim of punitive damages unless the consumer has purchased intentionally with the purpose to gain a profit (by litigation claiming for punitive compensation). Litigation filed by consumer for fraudulent sale of food product under the Consumer Protection Law. The Jiangsu High Court confirms that the claim shall be supported; in these cases, however, it is necessary to prove whether the consumer has actually been deceived, because the fraudulent conduct (欺诈行为) within the scope of article 55 of the Consumer Protection Law is interpreted by the Jiangsu High Court as including (i) provision of false information, or (ii) intentional concealment of facts disguises any fact so, (iii) resulting in the other party making any false declaration of will. While the legal foundations of this kind of law interpretation by Court at province levels remain questionable, it appears that those interpretations can influence local courts; the favorable second-instance decision obtained by the Platform seems to confirm this view. In general, professional consumers are facing more challenges now, as – except when food safety issues are at stake – several courts start considering them as aimed by bad faith purposes. The abovementioned second-instance decision seems marking a new interesting orientation by PRC Courts.